Fewer mobile phones shipped in 2012, and fewer of them were running the BlackBerry OS. According to research firm Gartner Inc., 1.75 billion mobile phones shipped in 2012, which is a 1.7 per cent decline from 2011 and the first decline in worldwide mobile phone shipments since 2009. Smartphones continue to power the figures, with smartphone sales up 38.3 per cent in the fourt quarter, while demand for feature phones is expected to remain weak. When smartphone sales are broken down by mobile OS, Android has a sizeable advantage over its competitors. In Q4, Android widened its gap over Apple’s iOS, growing by 87.7 per cent to capture 69.7 per cent of the market, ahead of iOS with 20.9 per cent. Conversely, Blackberry declined by 44.4 per cent in the quarter, earning just 3.5 per cent of the market. Microsoft was next at three per cent, and was up strongly thanks to Windows 8. 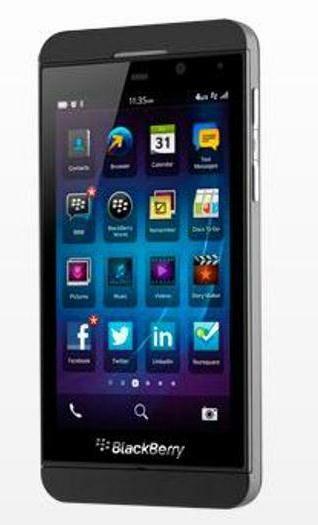 The new BlackBerry 10 could change the company’s fortunes. It’s worth noting that BlackBerry sales were likely slow in Q4 as users waited for the new BlackBerry 10 devices to launch in January. The next quarter’s figures should be watched for signs of a potential rebound in Blackberry’s fortunes. Finally, when shipments are examined by vendor, Samsung is the global leader with 22.7 per cent of the market in Q4, followed by Nokia and Apple.